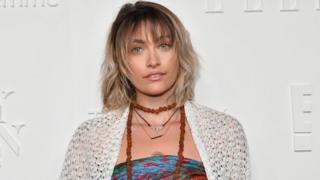 Paris Jackson has apologised for appearing on the cover of Harper’s Bazaar Singapore. It comes after an article criticised the model for appearing on the title in a country where homosexuality is illegal. The daughter of the late Michael Jackson confirmed to her fans last month she is bisexual. The 20-year-old’s appearance on the September issue of Harper’s Bazaar in Singapore saw her labelled “hypocritical” in an op-ed by Gay Star News’ entertainment editor. In the piece, Jamie Tabberer points out that homosexuality in Singapore is still illegal and punishable by up to two years in prison. He also took issue with the fact Jackson appeared not to address this in her interview with the magazine. “As a member of the [LGBT] community, her decision is all the more disappointing,” Tabberer wrote. “On the one hand, I consider her possible immaturity… On the other, I respect her enough to hold her accountable for her decisions. Paris replied saying she had been “grateful” for the opportunity to appear on the cover but that she had not known about the gay rights in the country. In follow up tweets, however, Jackson defended her decision to appear on the cover, saying it should be “celebrated” as a step forwards in a country with such conservative views. She also said that the cover was not just intended for Singapore but for “several” different countries. Jackson’s fans were quick to defend her, with Wilson Philips singer Carnie Wilson among those to tweet in support. Jackson opened up about her sexuality during an Instagram Q&A last month after a fan asked if she was bisexual. “That’s what you guys call it so I guess but who needs labels?” she replied. Following coverage of the story, she later elaborated she had been out since she was 14, commenting on Twitter that she didn’t understand why it was newsworthy. ← Venezuelan bolivar – what can it get you?